An Australian native, Wood Surf Co. is founded by industrial designer Dana Watson (Blackwood MFG) and 4th generation woodsman Andy Ceglinski (Wooden Anchor). Operated out of the Talofa workshop in the Byron Bay hinterland and supplied by the Wooden Anchor timber mill in Mullumbimby our love for the Northern Rivers runs deep. This closed loop seed-to-surfboard operation encourage and teach a path towards an ethically responsible approach to surfboard building, hand in hand with some of Australia’s best shapers and environmentally progressive individuals. As any responsible company should we have great respect and appreciation for our community & environment emphasising the use of responsibly sourced local plantation timbers, natural fibre board strengthening weaves, low VOC bio-resins, natural finishing waxes/oils and are committed to community projects and promoting native rainforest regrowth and biodiversity. Private workshops currently available for hands on, one on one workshops to craft your very own Paipo, Alaia or recycled eps core surfboard. Our workshops focus on understanding board design, basic hydrodynamics, sustainability principles, shaping principles and basic woodworking. Mark the diaries, wax the boards and book your fave Byron digs NOW because the Byron Bay Surf Festival is back this February Thursday 22nd – Sunday 25th, 2018! Over the now three day festival we can surly be found peddling our timber goodies at market day or working our way through the quiver at Wategos! Nothing quite like surfing something you yourself have crafted! Learn hydro dynamics, fine hand woodworking skills and more while making your very own board. Limited spots available - Flexable dates. For more information register your interest to receive an information pack or shoot us a call to ensure your spot - 0451 264 051. Curious about wooden surfboards?! 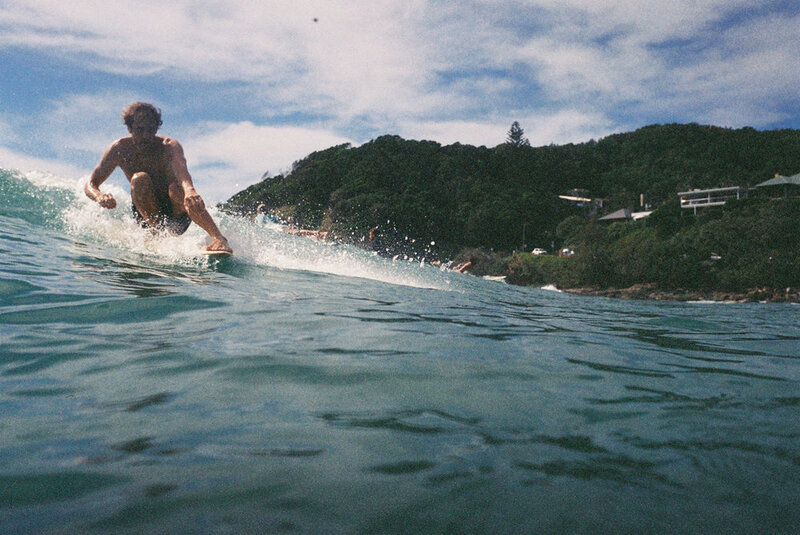 Join us for a relaxed day of board swapping and salt water therapy down at The Pass/Wategos, Byron Bay. For all general enquiries, workshop dates, & availability, custom board enquiries and orders please hit us up below.